The AWS Training and Certification team is hosting a new beta for our AWS Certified Security – Specialty exam. 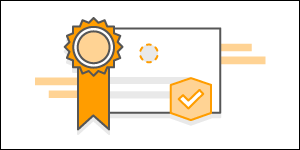 Be among the first to hold this new AWS Certification! Register today—this beta exam will only be available from January 15 to March 2, 2018. The AWS Certified Security – Specialty beta exam validates knowledge of effectively securing the Amazon Web Services (AWS) platform. The exam covers incident response, logging and monitoring, infrastructure security, identity and access management, and data protection. The beta exam is available for $150 USD—a 50% discount off specialty exam pricing. The beta exam is open to anyone who currently holds an Associate or Cloud Practitioner certification. We recommend candidates have five years of IT security experience, designing and implementing security solutions, and at least two years of hands-on experience securing AWS workloads. Please contact us if you have questions the beta exam.